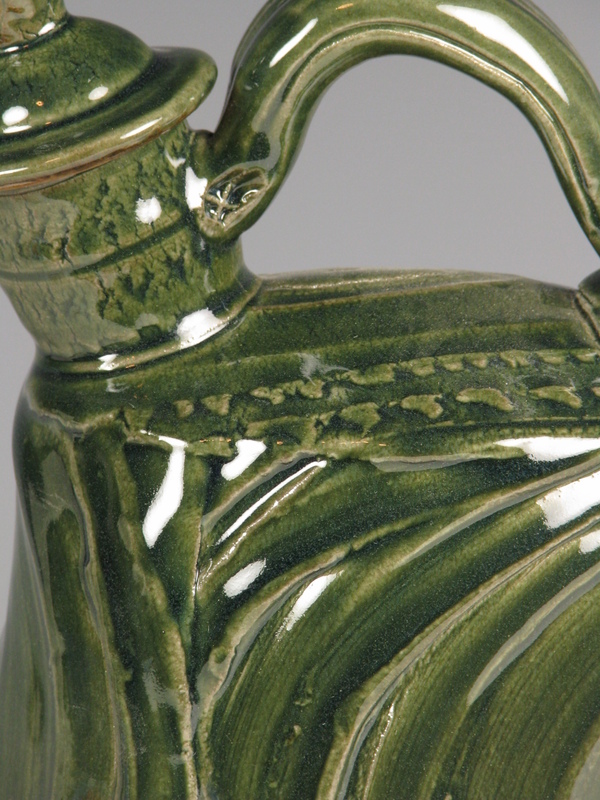 This teapot was hand-built from slabs that were incised with a spiral on my potter’s wheel. 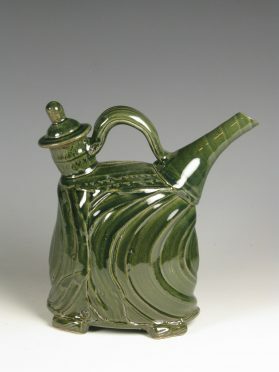 High fire stoneware with a rich. 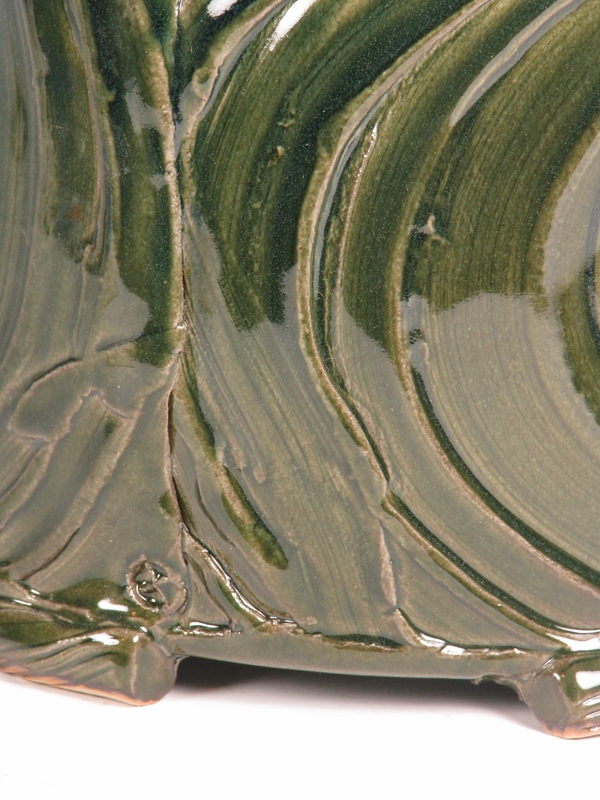 glossy green glaze.